When is This Bubble Ready to Pop? “You don’t promote exports with a cheaper currency. You promote exports with value added,” he said. 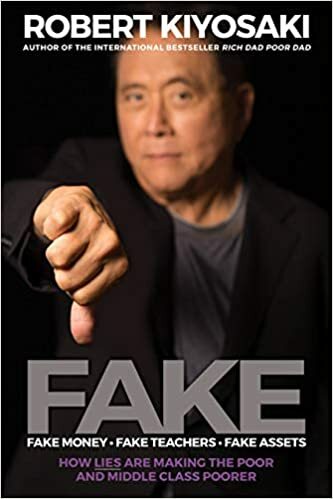 He believes the U.S. program of quantitative easing, which involves the Fed buying $85 billion of U.S. bonds each month, is a mistake. The policy is not stimulating growth, he said. Instead labour participation is dropping and inflation is low and economic growth is anemic. Besides putting impetus into a currency war, the Fed stimulus program has contributed to a bubble in stock markets, Rickards said. My advice for gold investors today is to kind of do what the Chinese do: just buy the dips. The Chinese bought a tonne, hundreds of tonnes of gold at the lows in July, July 2013. Now, again, we had that smash in April and gold went down over 20 percent between April and June. Well, right there at the end of June, the Chinese were buyers, so my advice to investors: don’t use leverage. Buy physical bullion. Don’t buy paper gold. Do what the Chinese do, which is buy the dips, put it away and don’t read the papers. So gold’s volatile. You just have to get used to it. And if gold is down a lot, it’s because deflation has the upper hand. But nothing moves in isolation. If gold traders down to, let’s say, $800 an ounce, that is a highly deflationary world. That probably means the stock market’s crashing, other commodities are going down, so you might actually like your gold better in that environment, because even though it went down a nominal space, it can outperform these other asset classes and still preserve wealth. Of course, in the opposite case, if inflation takes off, we all know what’s going to happen: gold is going to go way up. There’s certainly some Central Bank manipulation. There’s some fundamental reasons having to do with what we’ve been talking about, which is deflation. Gold should go down in a deflation environment initially. But if deflation gets bad enough, the government will make the price of gold go up because they get desperate to create inflation. If you’ve tried everything, if you want inflation, and you’ve tried everything to create it, so you tried money printing, cutting rates, currency wars, Operation Twist, QE, forward guidance, nominal GDP targeting, you’ve tried everything, you still didn’t get the inflation. There’s one thing that always works, which is devaluing your currency against gold. So there could come a time when deflation gets so bad that the Fed and the treasury actually raise the price of gold, not to enrich gold investors, but to get close to generalized inflation. Because if gold goes up, silver and oil will go up along with it. It’s exactly what happened in 1933. So that’s one path. But the other, perhaps more likely path, is that the Fed just keeps printing money and finally succeeds in changing behavior, velocity of the turnover money picks up and inflation goes up on its own. Then gold will race way ahead of that. That’ll just change the psychology. “Central banks have to avoid deflation at all costs and that’s really what they’re worried about. They’re worried about it in Europe, the U.K., the U.S. and all over the world. This would really make the sovereign debt crisis far worse that what we saw in 2010 and 2011,” said Rickards, who is author of Currency Wars: The Making of the Next Global Crisis. But the euro's fall has left many countries worried about their exports. The Czech central bank began selling its own currency last week, forcing the koruna down by 4.4 per cent against the euro. Peru’s central bank cut borrowing costs on Nov. 4 for the first time in four years, citing slow export growth. New Zealand’s central bank has delayed expected rate hikes and Australia’s Reserve Bank chairman says its currency is overvalued and it may be forced to cut rates. The Bank of Japan cut rates six months ago, but is still struggling to meet its inflation targets. Rickards believes the yen may sink as low as 110 to the US dollar. Rickards said cutting rates is the wrong way to boost export growth and stimulate economies. The only reason the interest rates went up over the summer was because of the taper talk. But they didn’t actually taper and I didn’t expect them to and I honestly don’t see how they’re going to, maybe ever. So the rates went up, not only in the fundamentals but because of the talk of tapering. People were shocked, they said, “Wait a second, you’re going to taper and do weak economic data? You’re going to taper into a recession?” Which is what they’re doing. But they didn’t taper, so now rates are coming back down again. If we follow the Japan scenario, and I expect we will, I can see ten-year no-rates coming down to 80 basis points. If they go from 250 to 80, that’s the greatest bond market rally in history. So everyone’s worried about the bond bubble, but they’re focused on nominal rates. They’re not looking at real rates. Nominal rates could come down a lot more as a way of getting real rates lower, because inflation is low it may even dip into deflation. So we could be set up. But in the long run rates would go way up and the country would go bankrupt and we’ll all have hyper-inflation. That could be two or three or four years away. Over the course of the next year you can see a very strong bond market rally. Every time the rates want to go up, the Fed can just buy more bonds. Of course, they buy bonds with printed money, but it just keeps the lid on rates. I’ve spoken to people in the primary dealer community. They’re completely relaxed because they’re just middle-men; they’re intermediaries between the Fed and the banks; the institutional investors. They buy bonds from the Treasury, they can finance them or sell them to the Fed or they can sell them to institutions. So the primary dealer is basically the large banks are middle-men. Now, the risk there is that they’ll get caught out. They’ve got long maturities, so they’ve got five-year notes or ten-year notes and they’re financing them overnight in the repo market. Well, what if the repo rate went up? All of a sudden the trade is profitable, it goes upside down, if the short-term rate gets above the long-term rate. Or if long-term rates go up they have capital losses on the bonds. So they’ve taken the risks out of the trade. So the primary dealers are relaxed, the Fed is going to keep the lid on the interest rates. Chat room hours will be closed from 9-5, at least if you're employed by a big bank. That's right, banks may start disabling electronic chat-rooms following regulator scrutiny. We'll tell you all about it coming up. And is there no where safe to keep your bitcoins? Sadly, that might be the case. Some "bitcoin-bandits" made off with over $1 million worth of electronic booty. We'll tell how they did it. Finally, we have seen an unprecedented expansion in the monetary base over the past decade. However this phenomenon is not just limited to the US: Canada, South Africa, and Japan have all facilitated extraordinary expansions of their monetary bases, leading some to call this a competitive debasement of currency. In 2010 Guido Mantega, Brazil's finance minister, famously proclaimed "We're in the midst of an international currency war, a general weakening of currency." That was three years ago, so where are we now? We talk to James Rickards, author of of the bestselling book, "Currency Wars." In the second half, Max interviews Jim Rickards, author of Currency Wars, about central bank vaporware, straws in the dollar wind and about how Janet Yellen is to Ben Bernanke as Miley Cyrus is to Lady Gaga - trashier than the original. James Rickards, an advisor to the White House and the Pentagon, believes it’s the start of a new currency war. “We’re not always in a currency war, but when they start they can go on for a very long period of time. They can go on for five or 10 or 15 years. They’re not over quickly. The reason they’re not over quickly is that there is no natural resolution,” he said in a recent interview with CBC’s Lang and O’Leary Exchange. The ECB cut its main refinancing rate to 0.25 per cent, held the deposit rate it pays on bank deposits at 0.0 per cent and cut its marginal lending facility — or emergency borrowing rate — by 0.25 per cent to 0.75 per cent. The Eurozone economies remain fragile, barely growing after two years of recession. But the real fear is deflation, Rickards said, because it would leave the debt-to-GDP ratio of these countries in a danger zone. James Rickards appears on the Lang and O'Leary Exchange where he discusses the new attempts to devalue currencies. Are currency wars starting again? Jim Rickards discusses the international monetary system and it's upcoming collapse. Jim Rickards tells listeners what this is going to look like. This kind of inflationary environment is good for stocks, but in the long way it’s terrible for stocks. Inflation destroys capital formation. The stock market is all about capital formation, earning profits, expanding your company, coming up with new companies, capital formation, capital expansion, growth in earnings, growth in multiples. That’s what the stock market is about. Now initially, you have what’s called money illusions. So, a lot of money floods into the system, it chases assets, it could be housing, it could be a lot of things. Stocks are part of it. No doubt the stocks have benefited the last four years from the Fed monetary ease. Well, if you have more ease, the stock market should go higher. Initially, but eventually the inflation outruns the gains and it turns out the gains are illusory. It’s not real and then the capital formation dries up, taxation goes up and the stock market crashes. It’s exactly what happened in the 1970s. We had a very severe, serious stock market crash in 1974 and then the stock market never achieved those highs again until sometime in the mid-1980s. So you had a very long period of no growth in the stocks after a severe crash, and we’ll have something similar. I just think that you will have this hyper-inflationary response at some point. Not right away, because it’s behavioral. The Fed needs to change behavior first. But when they change it, they may find it spins out of control, as it did in the ’70s. At that point the price of gold will soar or, if we go into a depression (I mean, we’re in a depression, but if we go into a more severe deflationary mode), the Fed may raise the price of gold as a way to create inflation. Either way, gold goes up in the end. First of all I’d say it started in 2007. 2008 was the panic and it was an emergency liquidity response to that, but the roots of this really go back to 2007. That’s when the sub-prime crisis erupted, that’s when the Bear Stearns hedge funds melted down. That’s when the Fed first started in to cut the discount rate and respond a little bit, even though they were way behind the curve and didn’t see it coming. So the depression started in 2007. It could be over tomorrow if we had the right policies, but we don’t have the right policies. It will continue indefinitely. We look like Japan. Japan has said, people talk about the lost decade, we’re in the third lost decade; it’s been over 20 years of depression, depressionary symptoms or depressionary economy in Japan. The U.S. is now in the same mode, it’s kind of ironic because for decades Bernanke and other scholars criticized the Japanese, saying, “What’s the matter with you guys, don’t you know how to run monetary policy, don’t you know how to get out of a depression?” Then they said, you know, in 2007, “We are going to avoid the mistakes of Japan.” But we’ve made every single mistake that Japan made. We should have shut down banks in 2008. We didn’t. We propped them up instead of shutting them down, which is exactly what the Japanese did. They locked the problems into place and financed them instead of writing them off, shutting them down, putting backers in jail, closing the banks, breaking the mob, stripping out the bad assets, putting them under a rock in trust for the American people, sell them over 20 years or however long it takes. Then re-IPO the clean banks. The old truisms about investing in stocks and bonds refer back to an economic reality that’s gone, and likely gone forever. So what do we do now? Should we own stocks at all? Where is the bond market headed? What about inflation and the devaluation of the dollar? The Daily Ticker interviews Jim Rickards where he talks about the safety of US bank deposits, Cyprus and more. Five years ago, Federal Reserve Chairman Ben Bernanke warned members of Congress that without an emergency bailout for Wall Street "we may not have an economy on Monday." Lehman Brothers collapsed, Fannie Mae and Freddie Mac were placed into conservatorship, and AIG was seized by the federal government. In providing nearly $1 trillion to Wall Street, President George W. Bush said that he "abandoned free market principles to save the free market system." Did we save the free market system or merely allow the Federal Reserve to forestall yet another economic catastrophe? Author and managing director of Tangent Capital James G. Rickards has claimed that the Federal Reserve is "playing with a nuclear reactor." As the Bernanke-era draws to a close, Rickards will discuss the Fed chairman's legacy, the inherent vulnerabilities facing the U.S. dollar, and the challenges ahead for the new occupant at the Eccles Building. There’s nothing the Fed can do to solve the depression or to change the structural problems in the U.S. economy. I mean, they’re assuming, they’re saying, “We’re gonna print money until unemployment gets to 6 and a half percent.” Who says there’s any relationship between printing money and unemployment? There’s no necessary relationship there. One’s monetary, one’s structural, so you need to do other things. So therefore they’re gonna keep going, but they think they’re right. I may be a critic and I may be able to point out why they’re wrong, why their models are wrong and why this says “No Good Exit,” but they think they’re right and they’re gonna keep going and kinda drive the bus over the cliff. Now, at that point, when the crisis emerges, they may have to go to a gold standard. They don’t want to, but they may have to, to restore confidence. But I’m very doubtful that they’ll do it as a matter of choice and say, “Look, we need to do this, let’s just do it now, let’s be honest, let’s be transparent, let’s be thoughtful.” You could do that but I think that’s very unlikely. People look at the system and they say that it really is not sustainable, it really is based on confidence, but we’re in the process of eroding confidence. There is no exit from quantitative easing. We should say there’s no good exit. You can back away from it, but then you’ll implode the economy in a deflationary crash. Or you can keep going and eventually cause a loss of confidence in the dollar and then have a hyper-inflationary crash, so you got a crash either way. One looks like the Great Depression, one looks like the late ’70s but worse. Those are the only two paths, but there’s no other path. There’s no way we can just sort of taper, reduce it, finesse it, try to get growth on a self-sustaining path. The reason for that is we’re in a depression. And depressions are structural problems; they require structural solutions. You cannot use a liquidity solution for a structural problem. You need a structural solution. 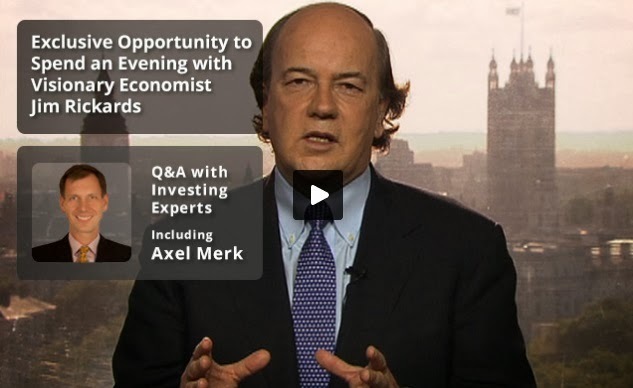 Jim Rickards is interviewed by Future Money Trends. Jim gives a status update on the ongoing currency war's and talks gold, silver, bitcoin and much more. Enjoy the interview! Nothing gets printed there that they are not in agreement with. It basically calls for a de-Americanization of the world. It is a signed op-ed go up — calling for de-Americanization and basically saying that the global dollar has been abused by the US. The intentions are clear, China wants out of the dollar, but they do not have the capability. This could be kind of a five- year project, which they are now pursuing in earnest. This is a shoving match between China and the US. behind the scenes at the IMF. It will play out in all markets. When I say collapse, it is a loss of confidence in paper money. Take the Fed, for example. The Fed has printed almost $3 trillion since 2007. Now, that is without a liquidity crisis. I mean, we did have a liquidity crisis in 2008. And the first round – I would say QE1 was a legitimate central-bank response to liquidity crisis. But QE2 and QE3: we will look back over them and we will see them as enormous blunders in one of the greatest failed experiments in economic history. But the problem is, the Fed printed trillions of dollars without a liquidity crisis. What is going to happen when we do have a liquidity crisis, which I expect in the next couple years, where there is a 2008 panic starting again? What are they going to do? Print $6 trillion? $9 trillion? There is a limit on what they can do. And so at some point, it is going to get handed over to the IMF, and they are going to have to print SDRs (special drawing rights). That is the IMF world money. Because none of the central banks have clean balance sheets at this point; they look like hedge funds. And so it really is a loss of confidence. Confidence is the key word – a loss of confidence in paper money. And that confidence is going to have to be restored somehow. And there are really only two ways. One is the SDR, which no one understands. So maybe they can re-liquify the world by printing SDRs and that will create massive inflation, but no one will really understand where it is coming from. And the other way is gold, which would restore confidence. But to have a non-deflationary price of gold, you are looking at $7,000 an ounce – very possibly higher, maybe as high as $9-10,000 an ounce. I know that sounds extreme. But it is really just eighth-grade math, if you look at the money supplies and look at the physical amount of gold. People say you cannot have a gold standard because there is not enough gold. Well, that is not true. There is always enough gold; it is just a question of price. So the theoretical question is, what is a non-deflationary price for gold if you have to go back to a gold standard? And the answer is, it's north of $7,000 and up. So that is the kind of thing that you might see. It is not what any central bank wants. It is not what the elites want. But it is the kind of thing you could get if you had to restore confidence. So that is what the future of the international monetary system will look like. But right now, the Fed is still behind the wheel, and they are still driving the bus over the cliff. Jim Rickards discusses the ongoing currency wars and European banking policy. Managing the debt crisis. Can we? Kitco News was in New York City for Platinum Week and caught up with best-selling author Jim Rickards to talk the fed, gold and the international monetary system. According to Rickards, the Fed knows gold has to go higher but taper talks continue to put downward pressure on the yellow metal. Rickards expects the Fed to continue "tapering into weakness" and says there may even be a recession next year. Tune in now to hear his take on the global economy and hear more about his latest book entitled "The Death of Money & the Coming Collapse of the international Monetary System" due for release in April. James Rickards, author of the bestselling book, Currency Wars, explains why he thinks the United States could do without a Central Bank. James Rickards, author of the best-selling book, Currency Wars, explains how the United States' manipulation of the dollar caused inflation in China and will eventually cycle back. Jim Rickards, author of the best-seller Currency Wars, sees the world's central banks embroiled in a "race to debase" their currencies in order to restore -- at any cost -- growth to their weakened economies. In the midst of the fight, the US Federal Reserve wields oversized power due to the dollar's unique position as the global reserve currency. As a result, actions by the Fed create huge percussive ripples across the battlefield, often influencing events in ways little understood by the players -- and especially by the Fed itself. In Rickards' words, the policymakers at the Fed "think they are dialing a thermostat up and down, but they're actually playing with a nuclear reactor -- and they could melt the whole thing down". As Congress prepares itself for a big debate on raising the debt ceiling, there's one thing to keep in mind -- the US already hit its borrowing limit on May 19th of this year. The US Treasury is legally only allowed to rack up $16.7 trillion in debt, but it has finagled a way to legally spend an additional $260 billion, using what it calls "extraordinary measures." The first thing that anyone needs to know about gold is that it is volatile. The second is that in a dollar/gold trade, this is the dollar’s volatility. They are two sides of the same trade. The problem this spring and summer has been that nobody can figure out the value of a dollar, and the reason for that is the debate inside the Federal Reserve about tapering. My view is that the Fed will not start the tapering off of its QE policy in September. If I’m right and they don’t taper [that is, they announce a continuance of the aggressive bond buying], then watch for the dollar to weaken and gold to get stronger. If they do start to taper, watch for the reverse. Max Keiser and Stacy Herbert, report from the heart of hedge fund land in Stamford and Darien, Connecticut, where they discuss the deja fraud of highly leveraged markets five years after Lehman collapsed and the nonsense job economy in which highly trained engineers spend their working lives dividing one simple mortgage into thousands of pieces of complex derivatives like piles of stinky fried fish. In the second half, Max interviews Jim Rickards, author of Currency Wars, who compares the Fed relationship to the BRICS nations to that of a drunk driver who runs down pedestrians and then blames the pedestrians for being in the way. Register now at http://www.caseyresearch.com/summit/2... to see and meet Dr. Ron Paul, Doug Casey, James Rickards, John Mauldin, Donald Coxe, Dr. Lacy Hunt, Catherine Austin Fitts, Rick Rule, Marin Katusa, Chris Martenson and many others at the upcoming Casey Summit 2013 October 4-6 in Tucson, Arizona. According to Currency Wars: The Making of the Next Global Crisis author Jim Rickards, traders (not investors) should short the British pound. In his eyes, a currency crisis is coming, and the British pound is ‘in the eye of the storm” because the UK has sold most of its gold, and they are printing money endlessly. He believes the UK is using monetary policy to try to solve structural problems, which will ultimately fail. It is important if, with me, you expect that the world will in time have to adopt some sort of gold standard. The phrase ‘the gold standard’ is misleading, there are many different ways in which one can structure a gold standard, or simply use gold as a reference of value, as suggested for example by Robert Zoellick in 2010. But given any resumption of a gold-based system, the most powerful countries will be the countries that have the gold. What is the best way to consider gold as a measure of relative economic power? One approach sometimes used is a measurement of the percentage of a nation’s reserves that is held in gold. The U.S. is in good shape, then, because it has 70% of its reserves in gold, whereas China has only 1% of its reserves in gold. But that, I submit, is a misleading measure. We don’t need a foreign currency, because we print dollars. So at least as long as the dollar retains its central measuring role in international transactions it isn’t surprising the U.S. doesn’t hold in reserve a lot of euros or pounds. We hold gold and we can produce dollars at will so we don’t really need foreign currency reserves. If you want to measure gold as a potential future backing for the economy, though, you need something more germane, and for this purpose one might consider the gold-to-GDP ratio. The ratio for the U.S. is now approximately 3%. For China, it’s at 0.7%. But that raises the issue of whether the Chinese are lying about their reserves. And clearly they are. Jim is just back from safari in Africa, and says that bankers are more dangerous than rhinos because rhinos can only charge one person at a time, where bankers can take out entire countries and populations. The FED relationship to the BRIC and emerging markets is like a drunk driver who runs down pedestrians and then blames the pedestrians for being in the way. Jim was in South Africa to attend an investment conference where he met the top institutional investors in the country, some of the wealthiest individuals, and government officials, and said you find out what their opinion is on what the FED is doing to the entire world. The FED officials, reserve bank governors, say they know what is going on in the emerging markets but that they do not care. The FED says that it’s their job to take care of the United States economy and the rest of the world is on its own. Jim believes that when you are manipulating every market in the entire world then you cannot be so careless about it. They are like a drunk driver running everyone else off the road. A lot of these markets are not that big, relative even to Europe. When the FED calls interest rates down to zero, everyone wants to do the carry trade. They borrow dollars, then buy the local currency, invest in foreign assets, make a spread, leverage it up, and make a lot of money. Well, as soon as the FED hints that they are going to raise interest rates, so called tapering, then everyone unwinds the carry trade. So they are now just massively dumping assets in Indonesia, Malaysia, Singapore, South Africa and elsewhere, dumping the currencies. James Turk and Jim Rickards discuss the ongoing currency wars. Rickards discusses gold, the economy and inflation. Russia now, after an aggressive pattern of buying gold in recent years, has acquired 1/8th of the gold of the U.S. Russia has 1/8th the economy of the U.S., too, so in terms of the gold-to-GDP ratio they have attained parity. They've been very transparent about their buying, in contrast to the Chinese. Putin has also, not coincidentally, been very clear that he doesn't want the U.S. dollar to continue to hold a central position in world markets. People are going to have to pay attention to that. And either the Chinese are dopes, which they’re not, or people will start to get gold, which they will. Are the Chinese Stupid? NO! Central banks don’t want to go to a gold standard. But if gold is a barbarous relic, if gold has no role in the monetary system, if gold is a “stupid” investment, then why do the Chinese have 5,000 tonnes? Are they stupid? If some scenarios play out, you are going to see the price of gold go up… a lot. And it may go up a lot in a very short period of time. It’s not going to go up 10% per year for seven years and the price doubles. It’s going to chug along sideways, maybe in an upward trend, with a lot of volatility. It will have a kind of a slow grind upward… and then a spike… and then another spike… and then a super-spike. The whole thing could happen in a matter of 90 days, six months at the most. “The last time, in 2008 when the crisis started, the Fed’s balance sheet was $800 billion. Today, the Fed’s balance sheet is $3.3 trillion and increasing at $1 trillion a year.” Rickards contends, “You’re going to have a banking crisis worse than the last one because the banking system is bigger without the resources because the Fed is tapped out.” As far as the Fed ending the money printing, Rickards predicts, “My view is they won’t. According to investment banker James Rickards, rumors of the Federal Reserve ending the money printing propping up the markets is not going to end anytime soon. Rickards predicts, "My view is they won't. The economy is fundamentally weak. We have 50 million on food stamps, 24 million unemployed and 11 million on disability, and all these numbers are going up." When the subject of gold confiscation came up, Rickards said, "I just don't think it will happen because the government will find it will be very hard to enforce." Rickards also said that now a great time to buy gold. He recommends investors put 10 to 20 percent of their portfolio in gold. "Gold is going down. The dollar is getting stronger, which is the opposite of what the Fed wants," he told CNBC. "The Fed wants a weaker dollar, negative real rates ... and more inflation. And that's good for gold." Federal Reserve Chairman Ben Bernanke rattled markets by announcing that the Fed might start winding down its stimulus later this year and end it completely in mid-2014 if the economy improves as it expects. Markets settled down last week after Bernanke said a highly accommodated monetary policy will be needed for an extended time. Most Fed members want to start trimming the bond purchases in September, but tapering that month is "not a done deal," Eric Green, global head of rates and foreign-exchange research at TD Securities, told Bloomberg. "Most of them want to see more evidence the job market is improving. The only way for the job market to improve is if growth shifts higher from the pace of the first half." "Many members indicated that further improvement in the outlook for the labor market would be required before it would be appropriate to slow the pace of asset purchases,” according to FOMC minutes from the June meeting. The long term outlook for gold remains positive. Shorter term, however, increased volatility is likely. Both higher and lower prices are in the cards. It all depends on policy makers, in particular the US Fed. Between August and September there are two FOMC meetings with a press conference: September and December. Suppose the Fed would “taper” their bond purchases they will not announce it in December because it will be right before the new Chairman will take over. September is the most likely month to announce it. So the September FOMC meeting will be an important one. Basically there are two possible outcomes. Tightening monetary policy is the first one. Doing so in a weak economy will have deflationary consequences. It will lead to higher interest rates and lower precious metals prices. Accommodative monetary policy, by contrast, would be bullish for gold and will lead to higher prices going to the end of the year. If I'm a contract holder and I have read the fine print, and I have allocated gold, and I insist on physical delivery and I won’t take anything else and I come in with my pick-up truck and back up the truck and say give me my gold, the banks are going to be the ones that are embarrassed. Because it’s likely the government will be calling back its gold at the same time in this kind of super-spike high-stress atmosphere. ‘And the banks are going to find they don’t have it. So the banks are going to be the ones that come up short. Because remember, it never left the vaults. If I’m the Fed, or I’m the Treasury, and I’ve leased my gold to you, and I call it back, and you can’t deliver to me, you can’t honor the contract, I’ll just terminate the contract, keep the gold, reconvert title to my name and send you a bill. You’re going to have two Americas. You’re going to have an America that was not prepared. 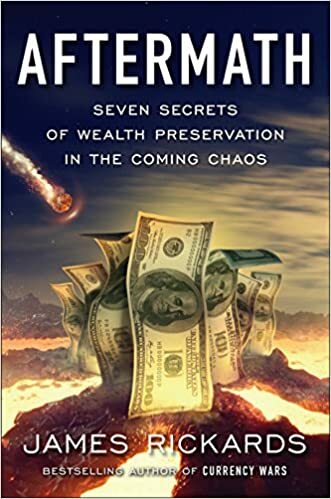 Paper savings will be wiped out; 401(k)s will be devalued; pensions, insurance and annuities will be devalued through inflation… Because remember, it’s not just the price of gold going up. It’s like putting a thermometer in a patient, getting a 104-degree temperature and blaming the thermometer. The thermometer’s not to blame; it’s just telling you what’s going on. Likewise, the price of gold is not an economic object or aim in itself; it’s a price signal. It tells you what’s going on in the economy. And gold at the levels I'm talking about would mean that you've now verged into hyperinflation, or something close to it, because nothing happens in isolation. At that point, you have to give more credence to gold. Now you've crossed the threshold. The minute you think of gold and paper money side by side, or having some relationship, you get to these price levels of $7,000-8,000 an ounce. They’re not made up. They’re not there to be provocative. They’re actually the math. Those are the numbers you get when you simply divide the money supply by the amount of gold in the market. If the Federal Reserve does begin to taper its stimulus in September, a slowing economy will force it to reverse course and restore its monthly $85 billion asset purchases, predicts Jim Rickards, managing director of Tangent Capital and author of the 2011 best-seller "Currency Wars." If the central bank is going to taper its stimulus this year, it will do it in September, he told CNBC, because the Fed will want to explain its decision and the only meetings for the Federal Open Market Committee (FOMC) to hold a press conference after the meeting are in September and December. "If they taper, it will be at an FOMC meeting with a press conference because the move is so significant the Fed will want the press conference to explain very carefully what they have done," Rickards told CNBC. The December meeting, he explained, is too near Fed Chairman Ben Bernanke's expected exit in January to announce a monetary policy change. "However, if the Fed does taper in September, they will find the economy sinks much faster than expected and ... they will have to increase asset purchases by early 2014." There isn't a central bank in the world that wants to go back to a gold standard. But that’s not the point. The point is whether they will have to. I've had conversations with several of the Federal Reserve Bank presidents. When you ask them point-blank, “Is there a theoretical limit to the Fed’s balance sheet?” they say no. They say there are policy reasons to make it higher or lower, but that there’s no limit to the amount of money you can print. That is completely wrong. That’s what they say; that’s how they think; and that’s how they act. But in their heart of hearts, some people at the Fed know it’s wrong. Luckily, people can vote with their feet. I always tell people who say we’re not on the gold standard that, in a way, we are. You can put yourself on a personal gold standard just by buying gold. In other words, if you think that the value of paper money will be in some jeopardy, or confidence in paper money may be lost, one way to protect yourself is by buying gold, and there’s nothing stopping you. I find that extremely unlikely. Mr. Rickards sees that we are heading towards the first of the four scenarios. Although he does not pretend to know the future (which nobody does evidently) he comes to his conclusion by analyzing the evolution. 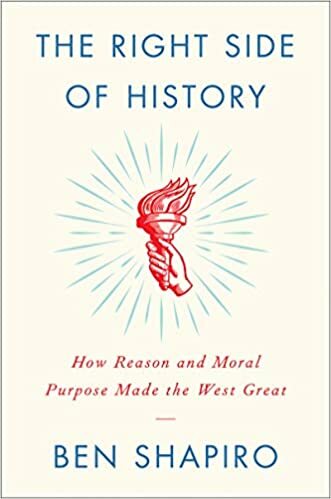 Up until now, based on the decisions and behaviour of policy makers, he believes there is enough evidence to believe that all signs point to a monetary collapse. Is it too late to change direction and avoid a collapse? Mr. Rickards believes it is not; we can still avoid it. The key point, however, is that policy makers are not showing signs of understanding the seriousness of the situation and their policy outcomes. They neither show signs of reversing course and solving the underlying structural issues. Going forward, those are the most important signs to force a reversal of the path we are on. Mr. Rickards adds to it that chaos is not the end of the analysis. In other words, suppose the world will face a collapse it will undoubtedly result in rather draconian executive orders. We might end up in a form of a gold standard based on a gold backed SDR. A gold standard or an SDR standard are the two most likely outcomes of a collapse; a combination of both is also a realistic possibility. Here we are, nearly every asset class is selling off and the Fed’s preferred measures of inflation are so low they’re in the Fed’s panic zone. It seems like right now, from their standpoint, the playbook isn’t working. What gives? But if we look closely, says Rickards, none of that is happening. There’s no inflation…in fact, the Fed is talking about deflation, which to them is worse. Instead of a weaker dollar, we have a stronger one. Interest rates are rising, but without any inflation, we’re getting positive real rates. After we had our fill about the Fed, we pivoted to gold. The People’s Bank of China last revealed its total gold holdings in April 2009 — 1,054 tonnes — and they could use it as a weapon in the currency wars. “I don’t know specifically” he said. “I certainly don’t want to pretend I have that date here on my desk.” But he said he expects the Chinese to give an update of their official gold figures at the end of the first quarter in 2014. That date would match with China’s previous announcements. So he expects that come April 2014, China will announce that they own 5,000 tonnes of gold. If these scenarios played out, gold would go a lot higher. Jim told us it could go up in a very short span of time, say, 90 days or at the most six months. “The world of $4,000 gold is the world of $400 oil, $100 silver, higher prices for copper, corn, wheat and everything else,” he continued. “In other words, it’s a world of very high inflation in which the value of your retirement funds and your annuities, etc., have been wiped out. In his latest interview Jim Rickards gives an update on his economic and monetary outlook and compares it with his view two years ago when he was writing his book. In particular, he talks about the scenario that is unfolding currently: a monetary collapse. A basket of currencies acting as a world reserve currency. SDR (special drawing rights) issued by the IMF. A form of a gold standard. Mr. Rickards still expects a collapse of the dollar as the most likely outcome. That has not changed since he has written his book. How many people in the gold market – whether it’s LBMA standard contracts, forward gold, allocated, unallocated, Comex – think of all the players who would raise their hand and if you say to them do you own gold, they say yes I do, and then when you press them you find out they don’t own physical gold – at all. Not even close. They own some claim of some kind. People don’t read contracts, they don’t read the exchange rulebooks – I actually have. ‘People don’t understand leasing,’ he adds. ‘They somehow think that if the federal government leases gold to JPMorgan, that JPMorgan backs up a truck and drives away. That is not what happens. The gold stays where it is. The gold doesn’t go anywhere. The gold’s in Fort Knox, the gold’s at West Point, the gold’s at the Federal Reserve. If the government tried to confiscate gold today, there would be various forms of resistance. The government knows this. So they wouldn't issue that order, because they know it couldn't be enforced, and it might cause various kinds of civil disobedience or push-back, etc. As long as you can own gold, you can put yourself on your own gold standard by converting paper money to gold. I recommend you do that to some extent. Not all in, but I recommend having 10% of your investable assets in gold for the conservative investor, and maybe 20% for the aggressive investor. No more than that. "There isn't a central bank in the world that wants to go back to a gold standard. But that’s not the point. The point is whether they will have to. I find that extremely unlikely." Nouriel Roubini also known as Dr. Doom Nouriel Roubini,decided to ask James Rickards, author of "Currency Wars," why he advocates for a return to the gold standard in his book "currency wars," when it was this return to gold that was a direct cause of the Great Depression. James Rickards responded by pointing out that it was not the return to gold, but rather the return to gold at the pre-WWI price that necessitated deflation, which exacerbated the depression. Nouriel then went to town on Rickards with, what became, full out, personal insults. He called James Rickards "arrogant" and said that the Wizard of OZ is a better read for those who want to understand the gold debate than Currency Wars. To taper or not to taper. That is the question being asked at the Federal Reserve. Do we stop printing $85 billion per month, or not. And guess what?Today, we learned that half the voting members want it to end -- not even taper -- by year end. We talk with Jim Rickards about this and the big trouble in China. Also, there are 12 members of the Federal Open Market Committee who vote on monetary policy eight times per year. The last meeting was on June 19th and it caused quite a stir. That's because we learned the committee was more bent on winding down QE -- so-called tapering. Well, the *minutes* of that meeting were released today, and they said half the members thought QE should *end* by year-end. This is the most descent at these meetings we've seen in years. Bob speaks with James Rickards, author of Currency Wars about mutiny at the Fed. "It all depends on Fed policy," said James Rickards, managing director at Tangent Capital, who expects deflation fears to outweigh the Fed's desire to taper. Right now, he said, the fact that real rates are above inflation is a bearish signal for gold, and expectations of continued policy tightening is also pushing down prices. "The case for buying gold is that the Fed is going to back off," he said. "They're not going to taper later this year. They'll actually going to increase asset purchases because deflation is winning the tug of war between deflation and inflation. Deflation is the Fed's worst nightmare." "In the next two months, the Fed is going to make it clear that they will not taper," he predicts. "That's very bullish for gold." Aside from Fed policy, Rickards expects China to start buying gold at these low levels, up to perhaps 4,000 tons. "People will say 'Why is China buying gold if it's so worthless?' " he said. Rickards said that the destination for gold is $7,000 per ounce, although tightening of Fed policy could drive it down to $1,000 on the way there. Jim Rickards, Tangent Capital, and Tom McClellan, The McClellan Market Report, debate whether there are reasons to "be in love" with the precious metal at this time. Now that wages are globally competitive, Chinese capital and German technology will move in quickly, create jobs. Greek depression almost over. Sharp & hard; great recovery potential. U.S. depression may last decades, like Japan. -Outcomes: Conflict, chaos or a gold standard? "Fed’s expectation of tapering is based on their forecast. But, their forecasts have been consistently wrong. Don’t expect growth or tapering." "Gold banks scare little guy to sell GLD, redeem for physical, sell physical to Asia at a premium. Nice work if you can get it." Ribbit Capital's Micky Malka and Tangent Capital Partners Jim Rickards debate the pros and cons of bitcoin from the Bloomberg Link Next Big Thing Summit in Half Moon Bay, CA. Following some heated Twitter debates w/ Nouriel Roubini, James Rickards, author of "Currency Wars: The Making of the Next Global Crisis" spoke w/ Kitco News' Daniela Cambone to counter Nouriel Roubini's prediction that gold will drop to $1,000 by 2015. Aside from his rebuttal of Roubini's call, Rickards discusses his open Twitter exchanges w/ Roubini which the two have recently become known for, and sheds some light on the nature and origin of their debate. Furthermore, Rickards examines Roubini's six-prong analysis, which is the premise of Roubini's call for $1000 gold and further significant price drops; Rickards explains why he believes market fundamentals may prove otherwise. "When one increases the scale of a complex system the risk of collapse rises even faster. This is not speculation, it is sound theoretical science. Unless society takes immediate steps to reduce the scale of today’s complex capital markets by breaking up banks and banning derivatives it faces a catastrophic collapse on a par with the Bronze Age or Ancient Rome. Unknown to most observers is that the financial dangers of 2008 have not gone away, in fact, the situation is worse. The biggest banks are even bigger with a larger share of total bank assets. The taxpayers bailed out the system in 2008 and got nothing in return except the prospect of having to do it again. If the system is riskier and more dangerous than it was in 2008, where will the next collapse begin? What domino will cause the other dominoes to fall? A survey of the big three currency areas – Europe, China and the United States – provides a foundation for understanding why real risks remain and a new catastrophe is looming." - Jim Rickards, author of Currency Wars. 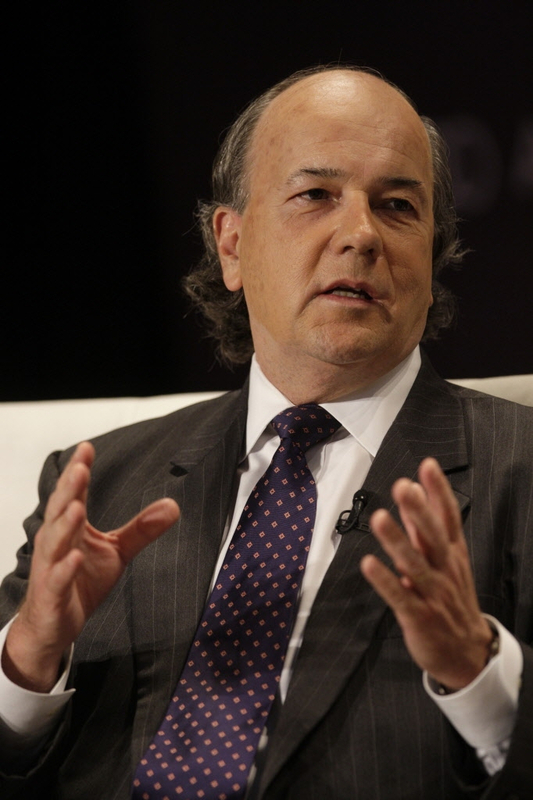 “We don’t have to worry about a recession — we are in a depression,” says James Rickards. Jim Rickards explains the day after plan... Forget gold, Silver is going out of sight. Jim Rickards: Will Currency Wars Reorder the World? Jim Rickards Blog. Travel theme. Powered by Blogger.